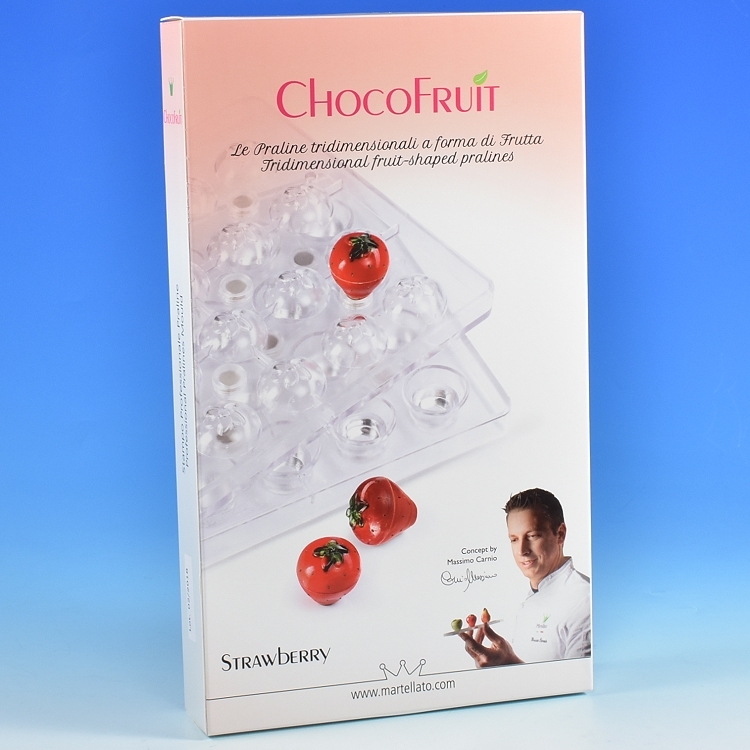 ChocoFruit Chocolate Molds allows you to create candies never been seen before! 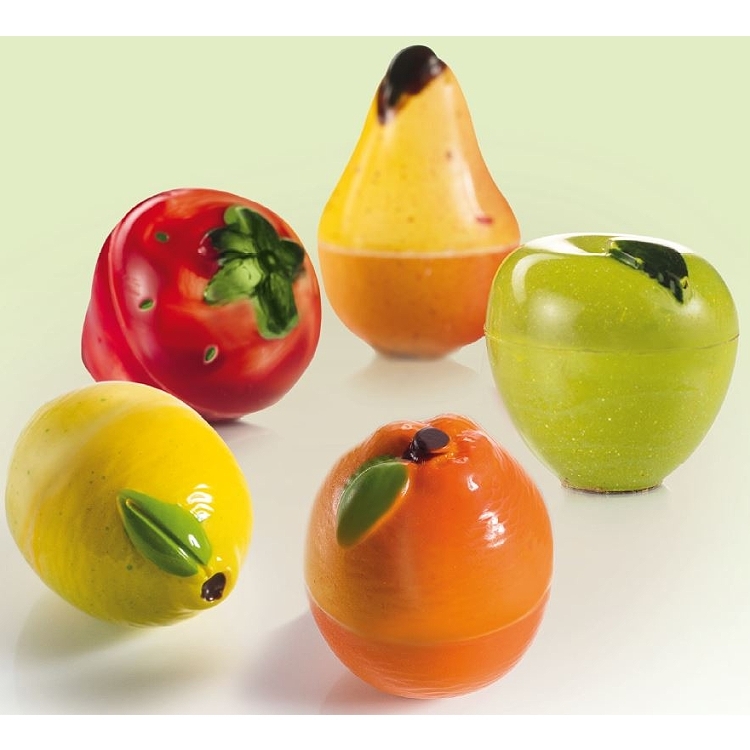 Create Chocolate Shapes that resemble miniature fruit ! 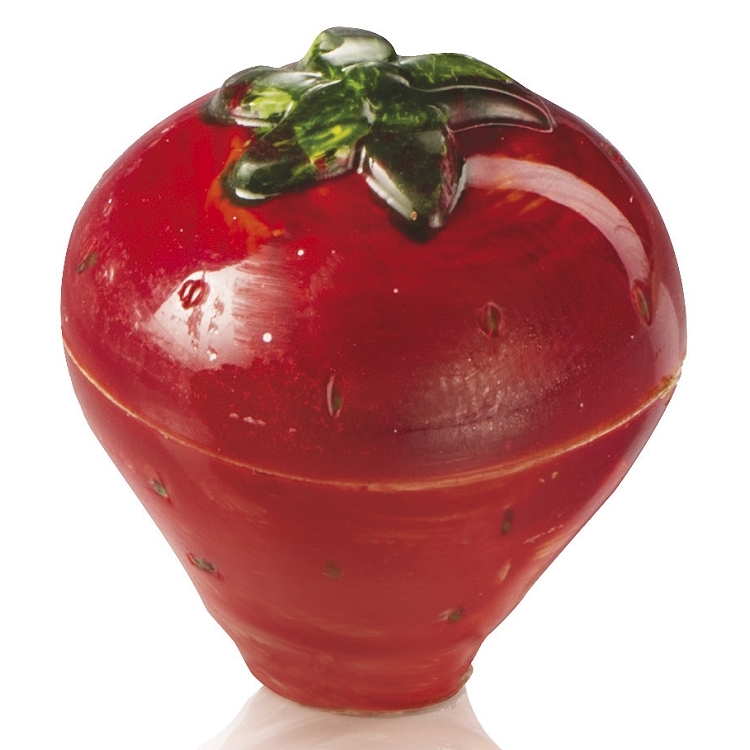 Fill with ganache and fillings to achieve a beautiful candy, or a clever accent for any cake or plated dessert. 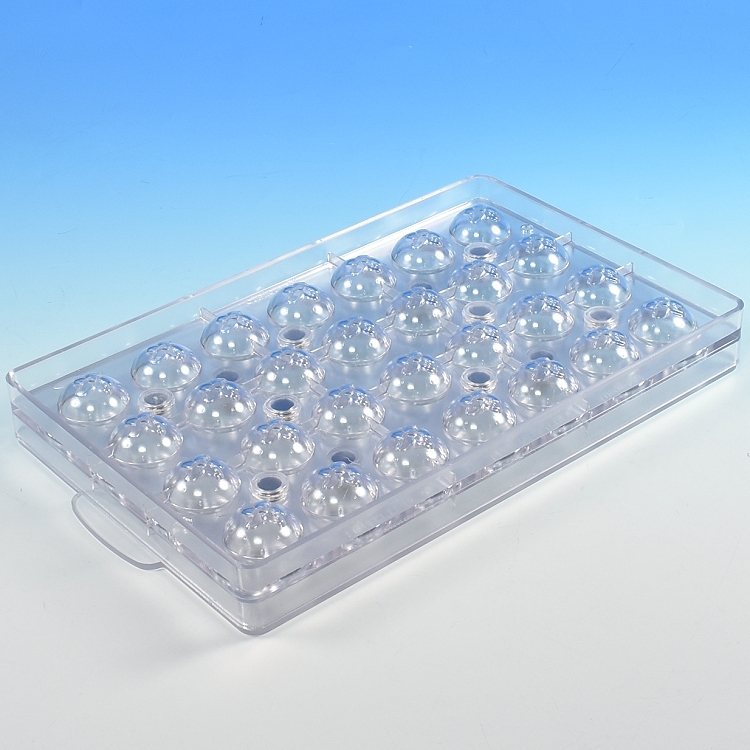 Professional three-piece polycarbonate molds snap together and are held firmly together with magnets, to create a unique 3 dimensional final product. • Use a brush or spray gun, coat each cavity with cocoa butter. 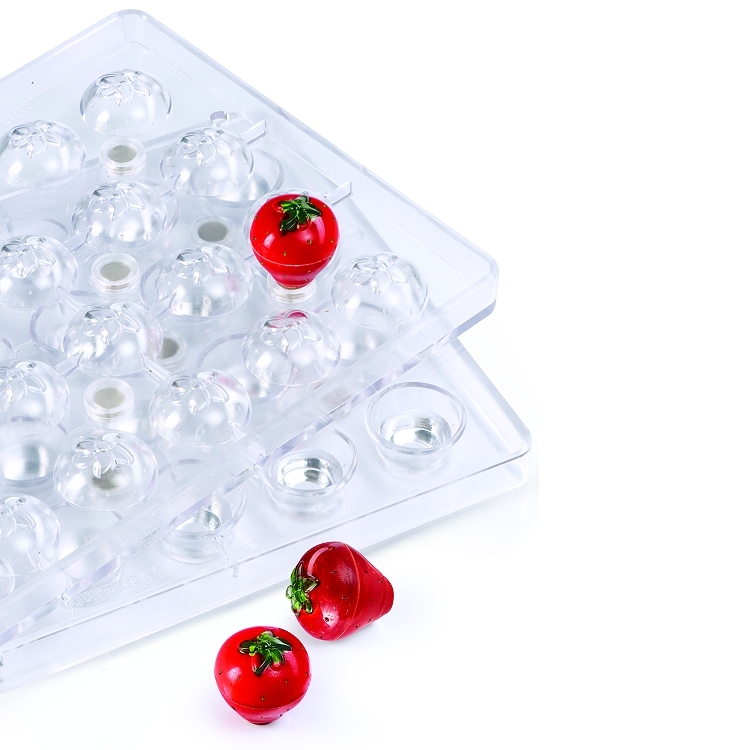 • Assemble the mold together and fill with tempered white chocolate. • Then quickly invert the mold and allow the excess white chocolate to drain. • Allow the white chocolate to cure. 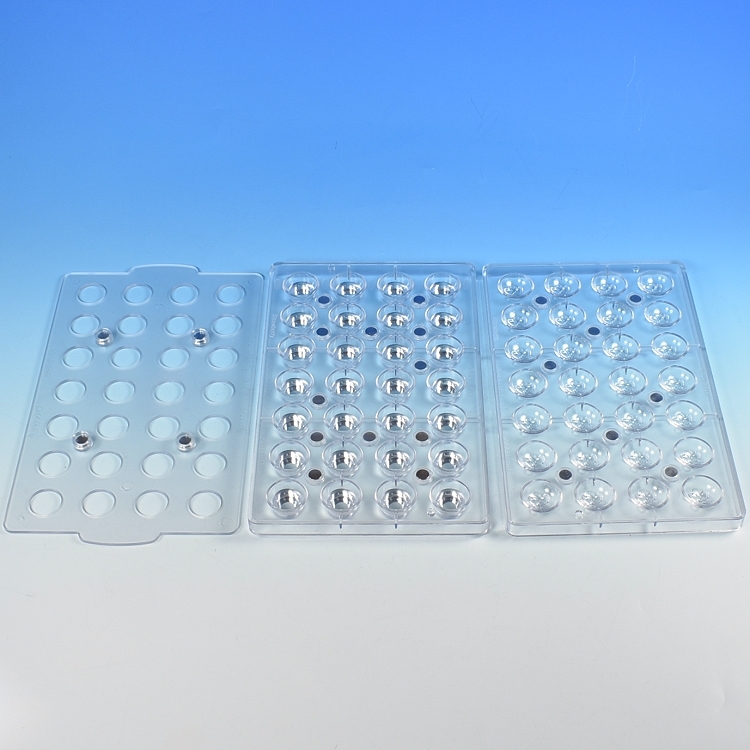 • Now fill each cavity with a desired filling, such as ganache or flavored fillings. • Close the bottom filling hole with additional tempered chocolate.